Discover the east coast of America with Celebrity Summit. Cruise from Cape Liberty or Boston to experience every conceivable shade of orange during fall in Canada and New England. Or if you’re looking for a tropical escape, head south to the idyllic islands of the Caribbean. 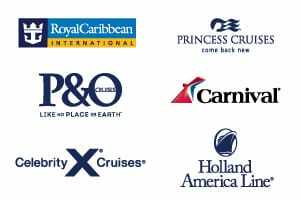 Cruising from San Juan, Puerto Rico, these cruises explore the countries of the southern Caribbean including Aruba, Curacao and Bonaire. If you want an island getaway but would prefer to leave from the US mainland, you can cruise from Cape Liberty to Bermuda from May to September of each year. Open Your World with Celebrity Cruises. 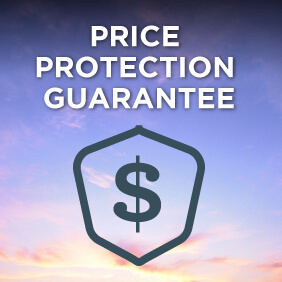 Upgrade your fare to save up to $400 per person, plus if you book an oceanview cabin or higher, receive one perk for free*! Choose from a free classic beverage package*, US$150pp shipboard credit* or free unlimited internet*. Or book a suite Celebrity Summit and receive all for free plus an upgrade to the ultimate beverage package*. Travel over Christmas next year and get Two Perks for Free* when you book an oceanview cabin or higher on Celebrity’s Christmas Holiday Sale. Ends 1 Jan 19. 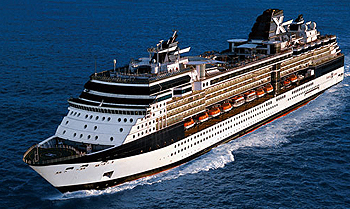 View all Celebrity Summit cruises, view a selection of Celebrity cruise deals, or view more options for Celebrity cruises. Constant improvement creates the height of modern luxury. The Celebrity Summit reached the peak of modern luxury with a grand makeover in March 2016. Our first Rooftop Terrace provides a chic new way to experience the great outdoors with creative cocktails, favorite snacks, and movies alfresco. Craving Italian? Tuscan Grille serves up fresh pasta and succulent dry-aged steaks. Enjoy an unordinary dinner at the innovative Qsine, then top off the night with a chilled Peartini at the ice-topped Martini Bar. The Penthouse and Royal suites have limmering new marble touches, elegant fixtures, plush seating, and more. Celebrity Summit has the privilege of being captained by first American woman to command a cruise ship, Captain Kate McCue. Enjoy espresso or tea as you watch the world go by. Inspired by the ambiance of European cafe, muted sepia tones and pops of citrus yellow bring this space to life. Celebrity Summit is visually stunning and superbly designed. Enjoy the spaces that have welcomed guests back time and time again; explore her new Solstice Class features-AquaClass accommodations, the Celebrity iLounge, an ice-topped Martini Bar, Cafe al Bacio & Gelateria, the Qsine specialty restaurant, and more-and delight in the exclusive new entertainment opportunities we are now showcasing. Indulge in a multi-sensory experience that fuses Celebrity’s award-winning cuisine with acclaimed films. Dishes inspired by the film are served at specific moments, so guests can “taste” the story or the destination – all from comfortable lounge seating with stunning views of the sea at the chic, new Rooftop Terrace. Celebrity Summit is visually stunning and superbly designed. Enjoy the spaces that have welcomed guests back time and time again; explore her new Solstice ClassÂ® featuresÂAquaClassÂ® accommodations, the Celebrity iLoungeT80;, an ice-topped Martini Bar, CafÃ© al Bacio & Gelateria, the QsineÂ® specialty restaurant, and moreÂand delight in the exclusive new entertainment opportunities we are now showcasing. An innovative and ground breaking show that explores the work of historys greatest illusionists using the latest technology. iMagic brings the wonderment of childhood to the technology of the future.